. He was influential in protesting British authority, specifically Britain’s tightening restrictions on colonial trade. 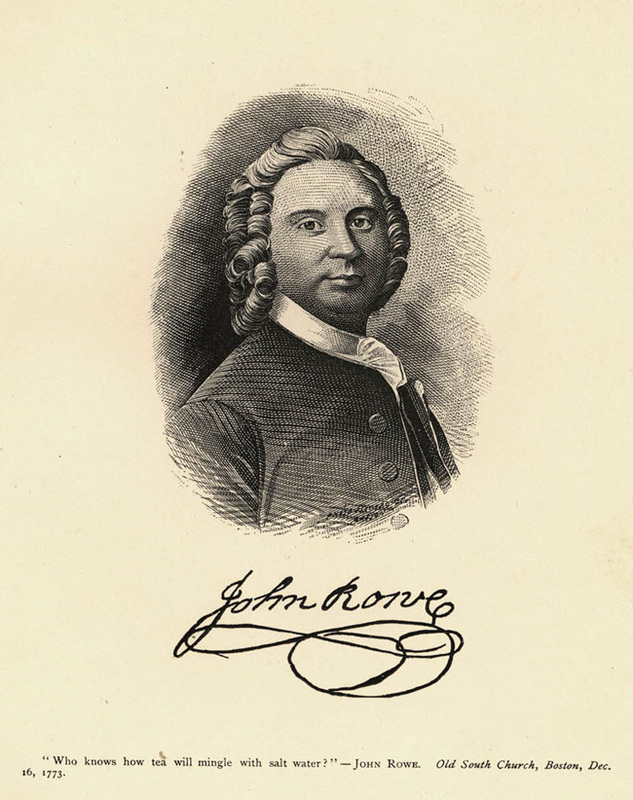 John Rowe is credited for being one of the leading instigators of the Stamp Act riot in August 1765. 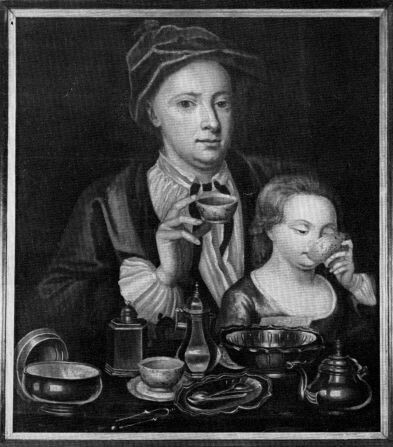 During the riot, the mob destroyed the mansion of Thomas Hutchinson, the Lieutenant Governor and Chief Justice of Massachusetts. At the time of the Boston Tea Party, Captain Bruce, a Tory sympathizer, commanded the Eleanor, and her homeport was the city of Boston. 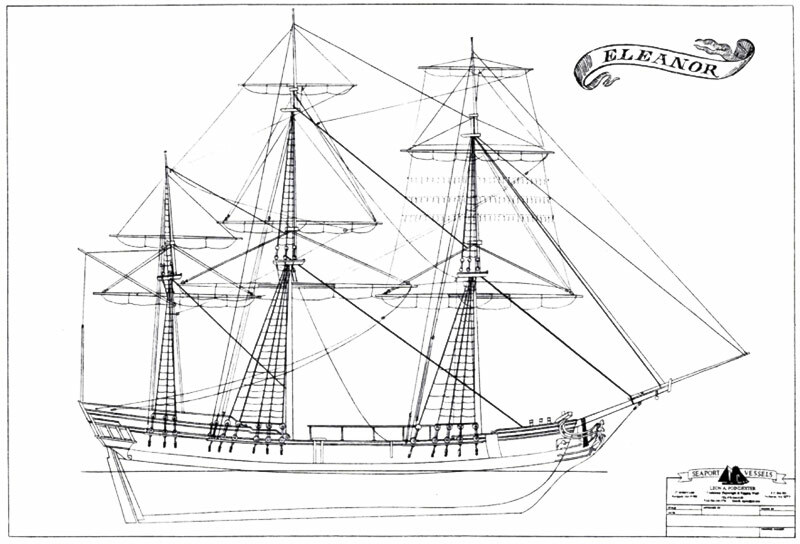 The Eleanor, with her cargo of 114 chests of British East India Company tea, arrived at Griffin’s Wharf in Boston on Thursday, December 2, 1773 – fourteen days prior to the December 16, 1773, Boston Tea Party. Illustration of John Rowe by Francis S. Drake, 1884. Massachusetts Historical Society. John Rowe was so angered with British policy that he was influential in inciting the destruction of his own cargo aboard his ship, Eleanor. Rowe is reputed to have been present at the planning meeting of the Boston Tea Party held at Old South Meeting House on December 16, 1773. 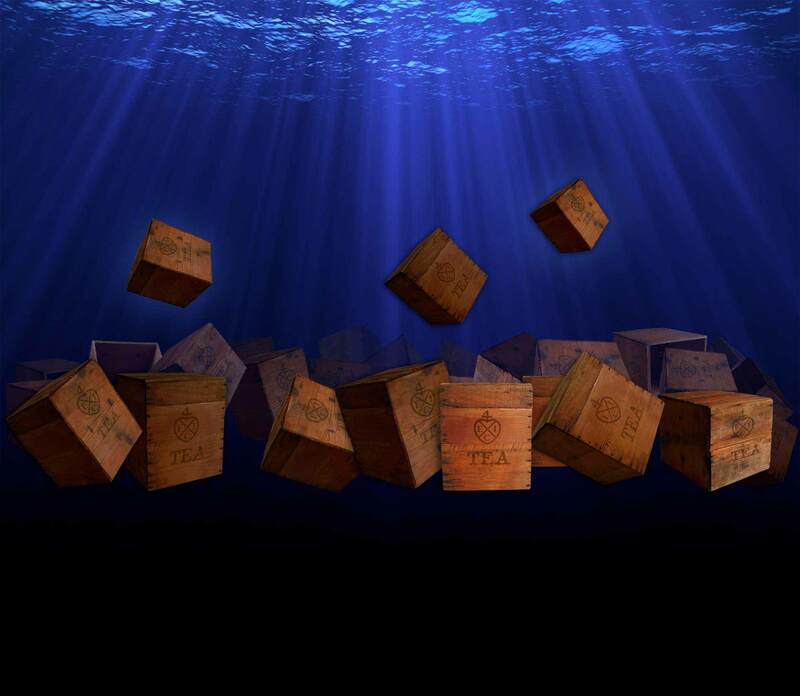 He is recorded to have said, “Perhaps salt water and tea will mix tonight!” However, Rowe attempted to cover up his participation in the planning of the Boston Tea Party by recording false entries in his diary as to his whereabouts on December 16th. 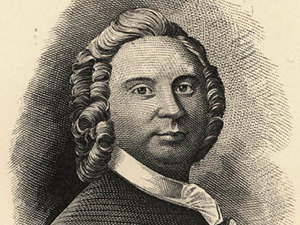 Ironically, during the American Revolution, John Rowe remained neutral and refrained from taking sides in an effort to look out after his business interests. No original plans exist of the Eleanor. 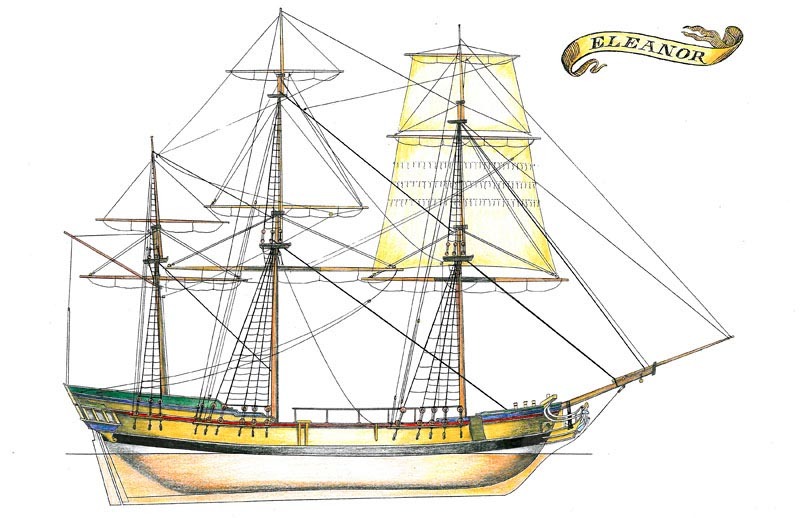 However, it is known from her tonnage figure, as recorded in shipping papers, as “ship rigged” and a “constant trader.” The design of the replica Eleanor is based on colonial merchant vessels of the period which fit her description, particularly the London. 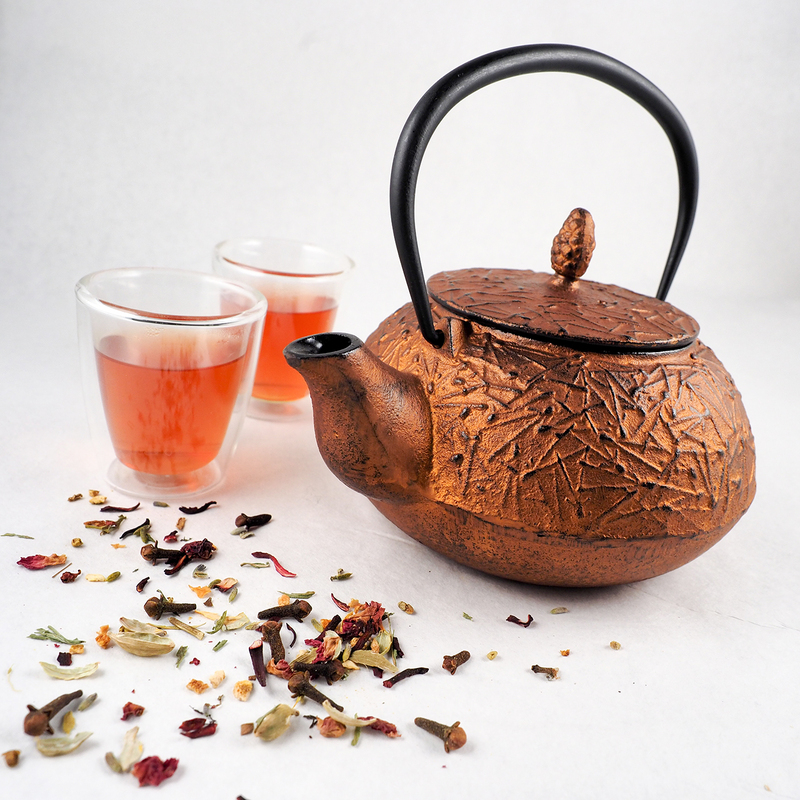 The London carried part of the same shipment of British East India Company tea to Charleston, South Carolina. 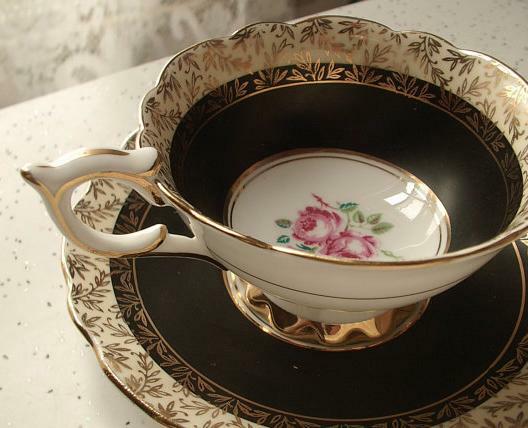 The London was later sold to the Royal Navy. Carefully measured line drawings were recorded and preserved which were very helpful in creating a set of plans for the replica Eleanor. Due to John Rowe’s wealth, we can assume the Eleanor was finely finished and not plain like the Quaker owned Beaver and Dartmouth. Therefore, we may assume the Eleanor might have had quarter galleries, a figurehead, and a full-headed rig. Creating this replica ship involved nearly a complete transformation of the retired fishing vessel Uncle Guy built in Thomaston, Maine in 1936. The Uncle Guy was later purchased by the Novello family in 1952 and renamed the Vincie N. after the family matriarch, Vincenzo Novello. The Vincie N. fished out of Gloucester, Massachusetts until she retired in 2000. Some very substantial changes were made to convert this 20th century fishing vessel into an 18th century trading vessel. The first phase in the ship’s dramatic transformation was the removal of the pilothouse, winch, and her massive engine. The old dragger had a basic old style sailing hull design that was extensively rebuilt and modified to resemble the colonial ship London. The old planking and framework were dismantled foot-by-foot and replaced, changing her shape from stem to stern. She has reshaped new sides, a new bow, bulwarks, a new deck and stern with gallery windows. The main deck was razed; the old transom was cut off and rebuilt with stern and quarter galleries. The shear was changed, raising the bulwarks and adding an aft cabin with a quarterdeck. Her new frames and planks are white oak and she is fastened with spikes and trunnels (wooden pegs). By the time the work is completed, she will have all new sides, a reshaped bow with curved headrails and figurehead. 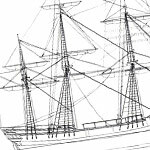 In the next year, she will have three masts, be finished above and below deck, and will be fully rigged.